The Enneagram spectrum of personality styles has proven to be useful in many contexts such as personal, couple, and family therapy; spiritual direction; business consulting and coaching around leadership, management, and team building; learning and teaching styles. Since the Enneagram touches on many levels of reality, it can be applied at varying levels of intensity and depth. This training and certification program is designed for individuals wishing to use the Enneagram in workshops, small groups, or one-to-one interactions in these various business, educational, consulting, therapeutic, and spiritual development settings. Individuals wishing to enhance their own personal and interpersonal understanding and development can also profit from this training. what streams of perennial wisdom feed into this system? how do the pieces of the Enneagram fit together? 30 CEU’s are available for social workers, and counselors (License no: IL 159-001178) and for psychologists (License no: IL 268-000036). The Wagner Enneagram Personality Style Scales (WEPSS). Participants will learn how to administer and interpret this questionnaire, the only Enneagram inventory published by a major psychological test company, Western Psychological Services, with sufficient research to be reviewed in Buros’s Mental Measurements Yearbook (2003). Participants will receive a code to take the WEPSS online at www.wepss.com. 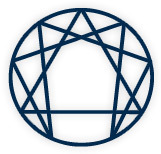 It is strongly recommended that participants have a previous knowledge of the Enneagram either through reading or preferably through an introductory workshop.